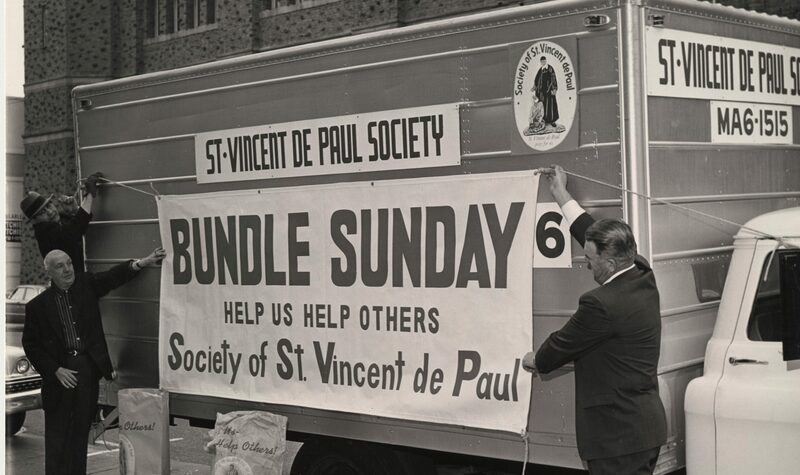 In addition to the 1,000 people our professionally-run programs serve every day, another 200 are helped by St. Vincent de Paul Conferences, whose members belong to various Catholic parishes in the Bay Area. Conferences are groups of volunteers who seek to grow and develop their spirituality through friendship and person-to-person service. In the parish, Conferences work closely with the pastor and congregation to serve the poor of all faiths in their local community. They obtain their funding through regular and special collections at the parish, fundraising drives, and member donations. Conference members decide what programs and services they will offer based on the needs of their local community, but they work as caring neighbors, not social workers. When someone needs help, a pair of Conference members will arrange a house visit. They will listen with both head and heart, and offer help in all forms — an extra bag of groceries, vouchers for furniture, assistance in paying for prescriptions, dealing with a landlord, and referrals to other essential services. In addition to responding to individual calls for help, some Conferences run food distribution programs, others provide services to residents of neighborhood nursing homes or other institutions, and most have special holiday programs. Membership is open to all who share our values and commitment to helping those in need. Members discover that they form deep friendships and genuinely fun experiences while doing good for people who need love and attention. To find a conference click here.